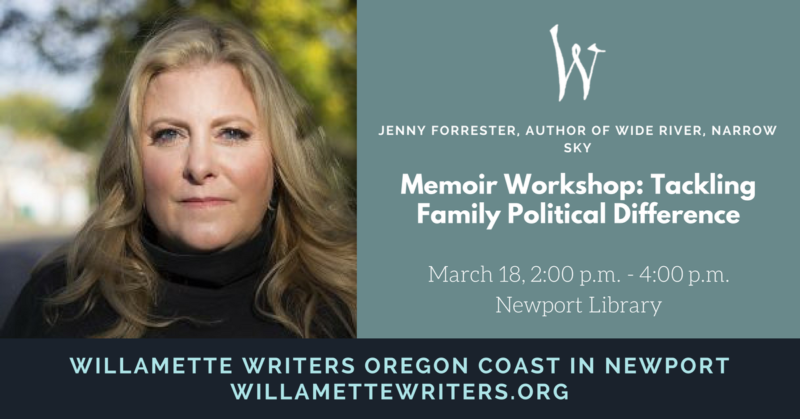 Join Willamette Writers coast branch Sunday, March 18 for a conversation with Jenny Forrester, author of Wide River, Narrow Sky. Forrester will look at how we deal with memoir when our family sits on the opposite side of the political fence. The free workshop takes place from 2 to 4 p.m. at the Newport Library. Says Forrester, “It’s a fairly universal experience to disagree with family members sometimes. But what if those disagreements are more like epic gulfs of bafflement and horror? What if your family members are conservatives? What if they’re Republicans? What then? How do we show our more liberal/progressive/radical leanings without making ourselves out to be the Good Guys and the conservatives the Bad Guys? Participants should come prepared to write. In addition to her memoir, Forrester’s work has been published in Gobshite Quarterly, Pom Pom Lit, Seattle’s City Arts Magazine, Nailed Magazine, Hip Mama, The Literary Kitchen, Indiana Review, Columbia Journal, Portland Review, and the Listen to Your Mother anthology. She curates the Unchaste Readers Series in Portland. Willamette Writers thanks the Anchor Pier Lodge, Sylvia Beach Hotel, Hallmark Hotel, and the Inn at Nye Beach for donating lodging for their authors and the Newport Public Library for providing a monthly meeting space. The Coast Chapter holds monthly meetings for writers near Newport. We always look forward to meeting and seeing members from other chapters. The Coast Chapter meets on the third Sunday of each month from September through June, with no meetings in July, August and December. 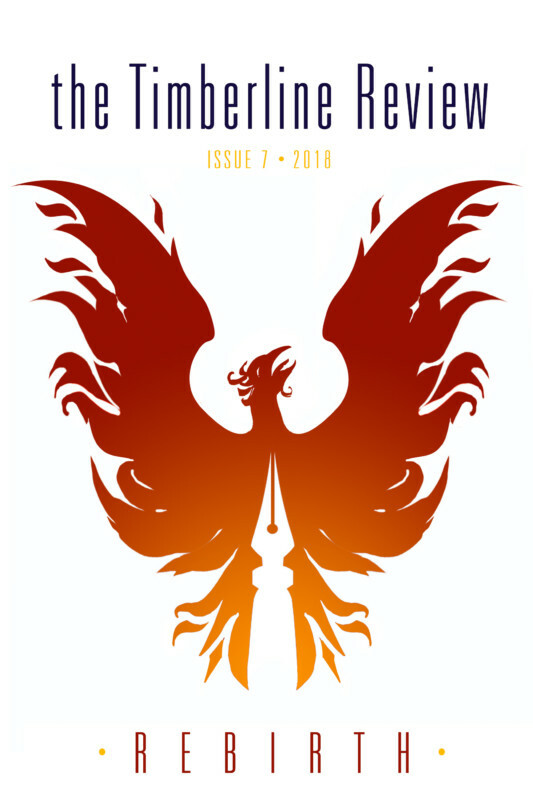 In August we head to Portland for the Willamette Writers Conference. Meetings are held at the Newport Public Library (McEntee Room). The meeting is free thanks to the generosity of the Newport Public Library and local businesses such as Hallmark Resort, Anchor Pier Lodge, Elizabeth Street Inn, and Sylvia Beach Hotel, and the generous time and space provided by our media partners.